This handmade ring is very stylish. 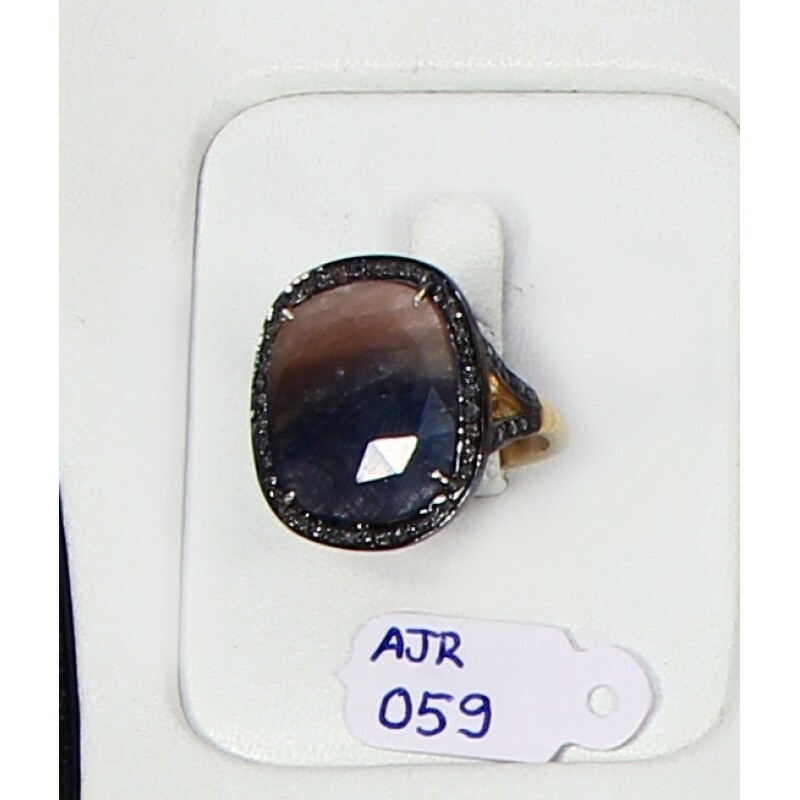 It is a handcrafted piece with a 2-tone Natural Sapphire in the center and Diamonds. 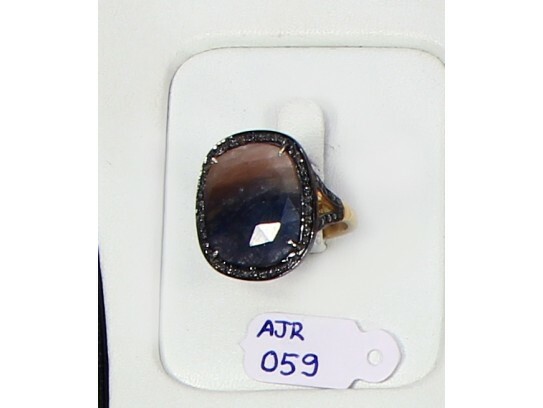 It is a handcrafted piece and can be easily resized.